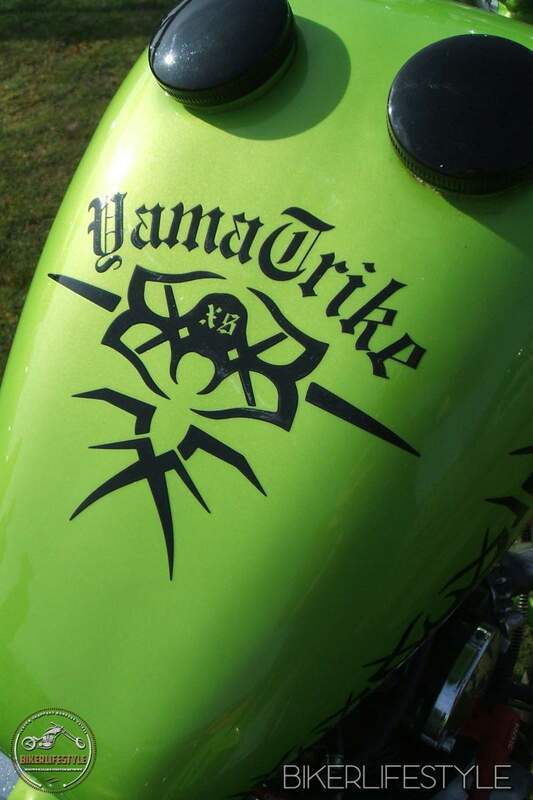 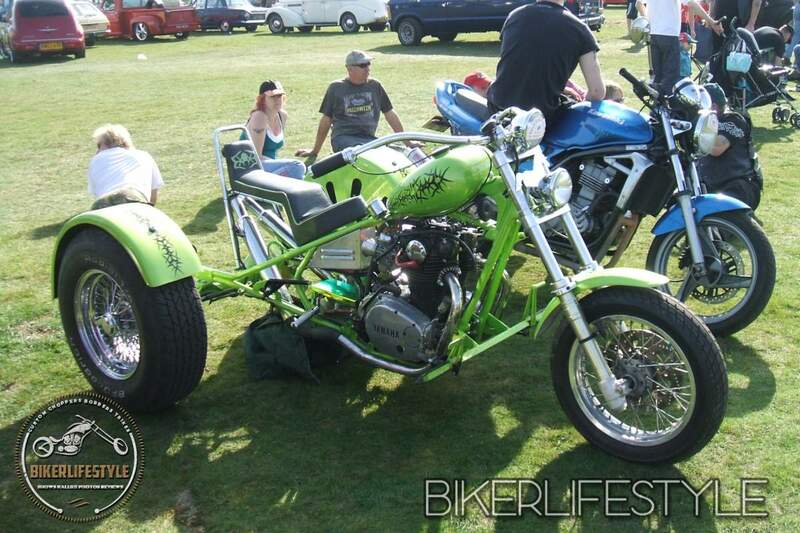 We introduce this attention grabbing little XS650 Yamaha. 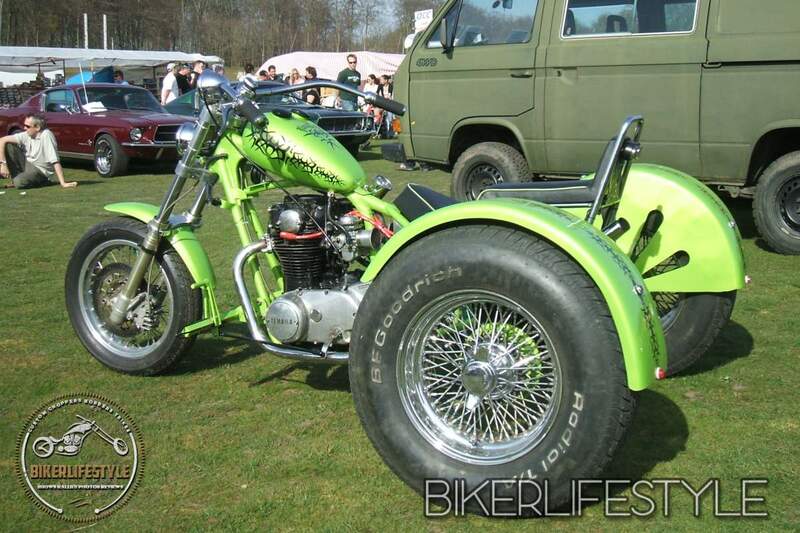 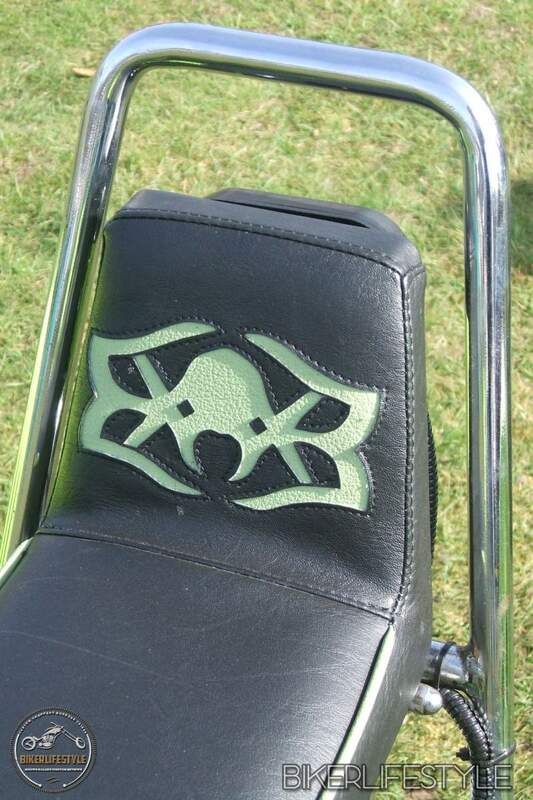 The Triumph roulette green paint with black graphics ensure it really stands out from the crowd. 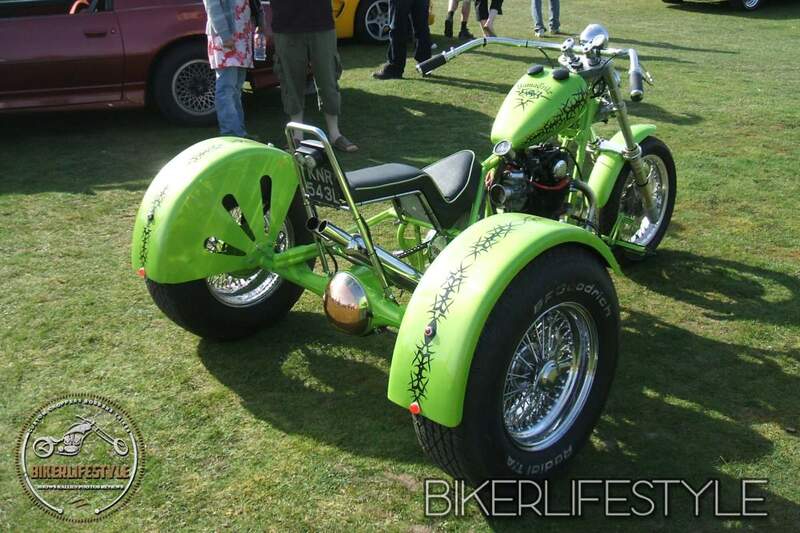 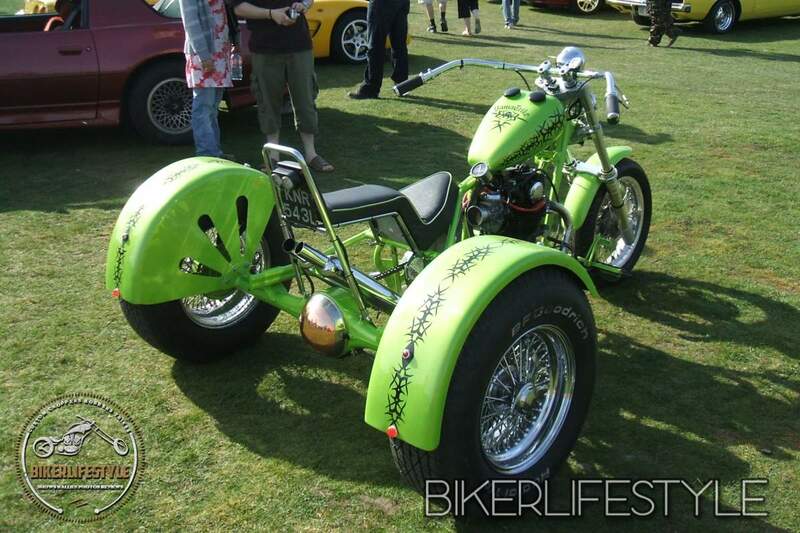 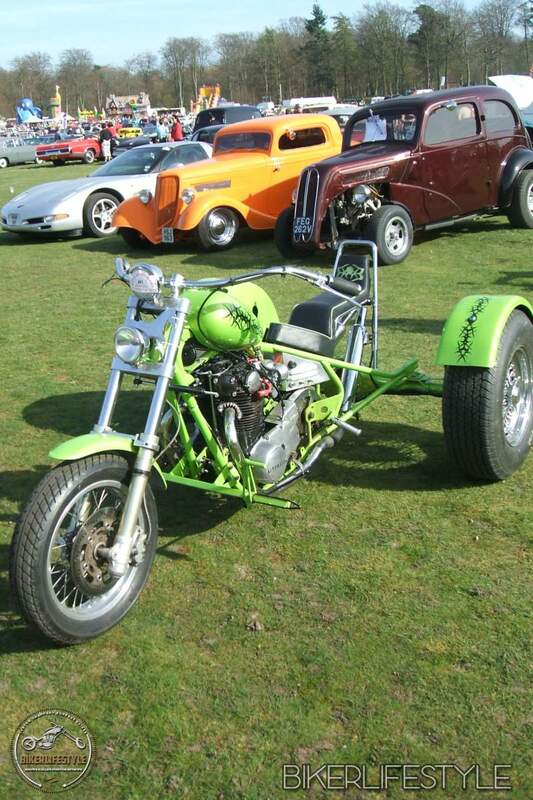 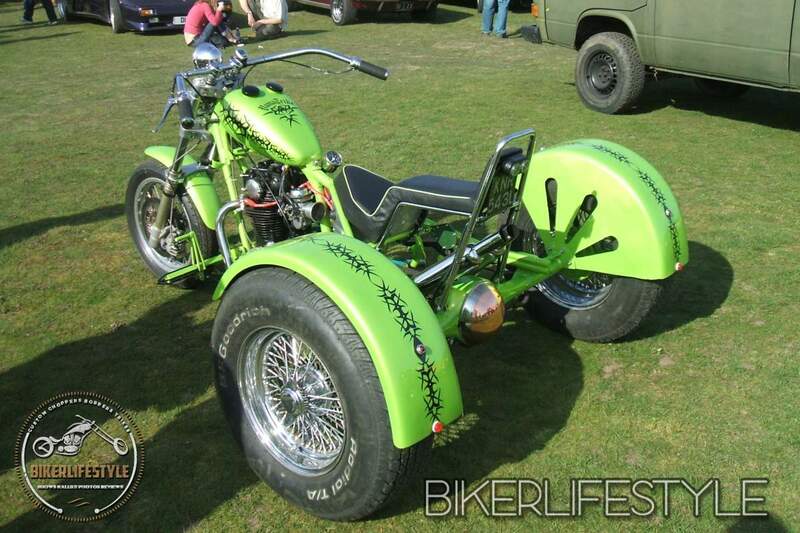 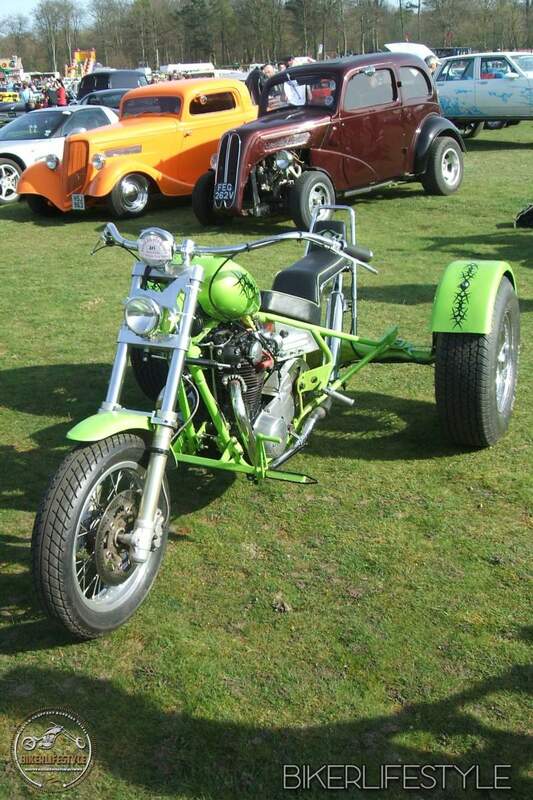 Paul’s good friend, Mick Chapman, actually built the beastie, using a standard XS engine cradle, mated to a hardtail rear end, which in turn holds an MGB axle, converted to chain drive. 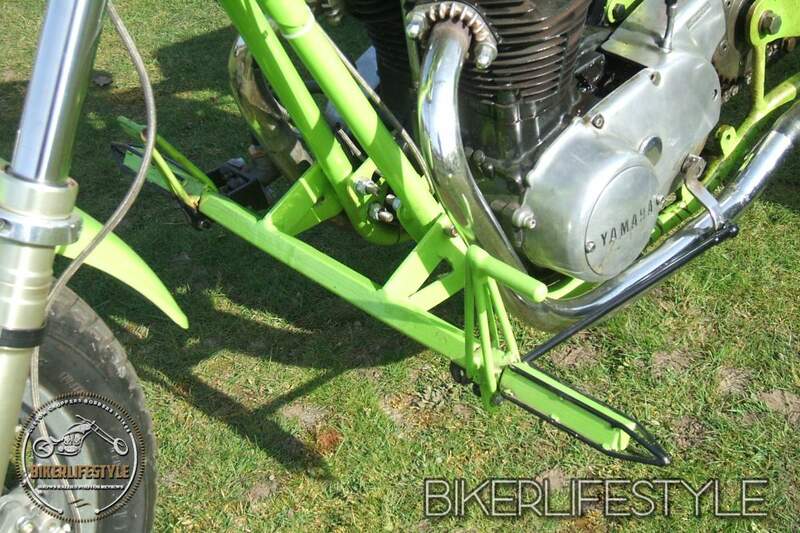 Rear wheels are 15 inch Jaguar wires with genuine knock-off hubs, sitting on the original MG drum brakes. 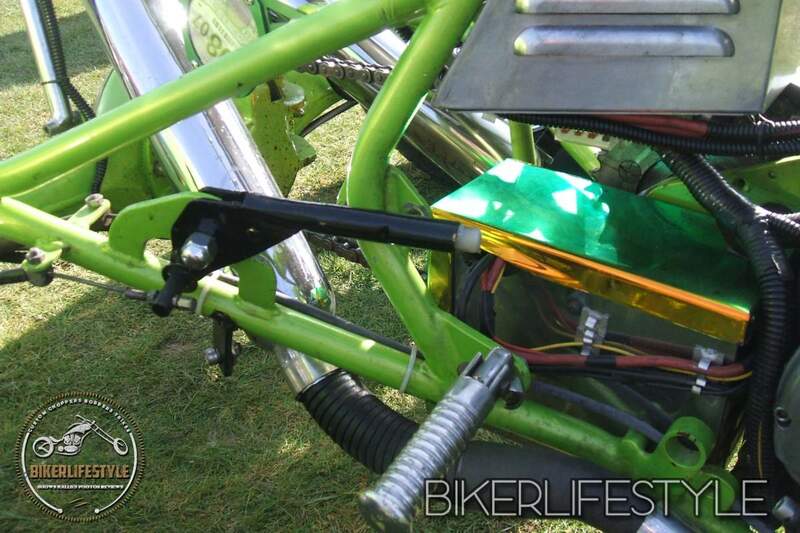 A double chain drive with offset adjuster links the axle to the 650 twin motor. 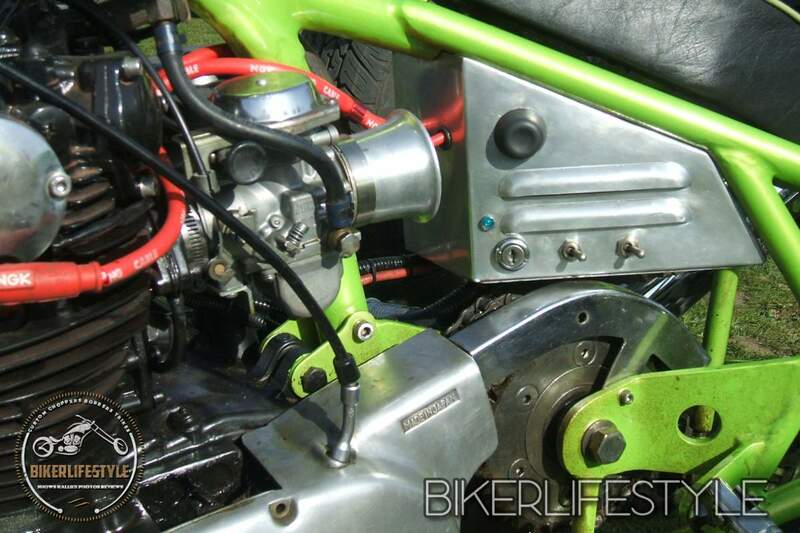 Standard XS down pipes flow into Royal Enfield silencers & the standard Mikuni carbs breathe through open bell-mouths. 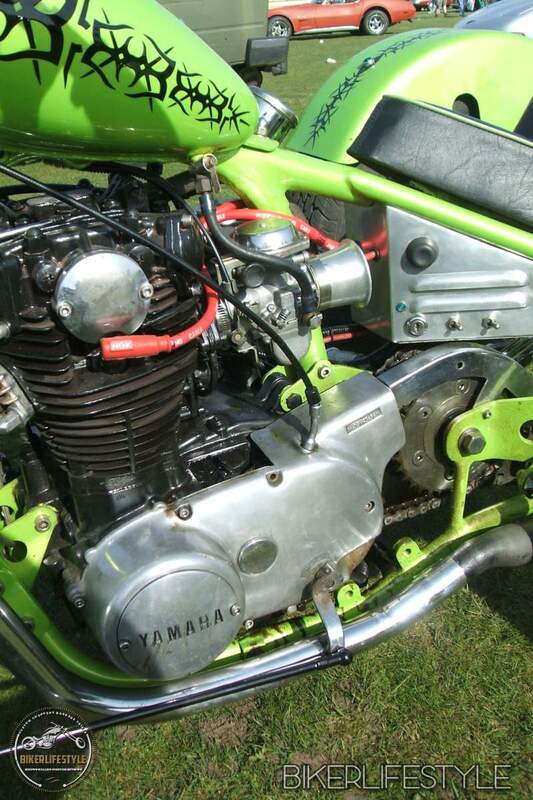 At the front, a pair of one-off slab yokes grip XR400 forks. 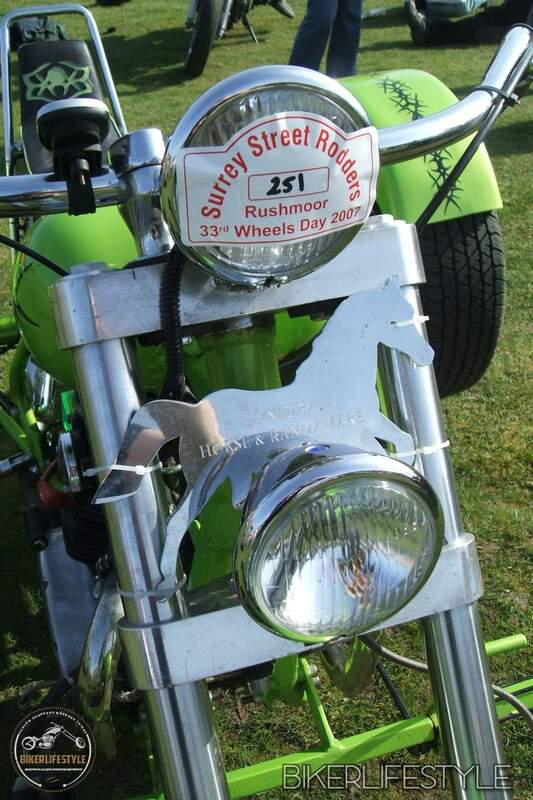 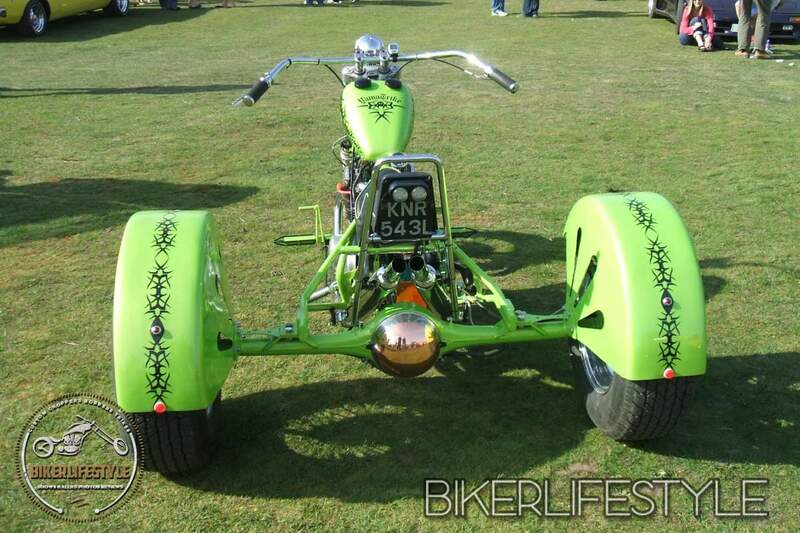 The front wheel is an XJR900 16 incher & a pair of 1 inch Bay bars sit atop twin 5 inch Bates lights. 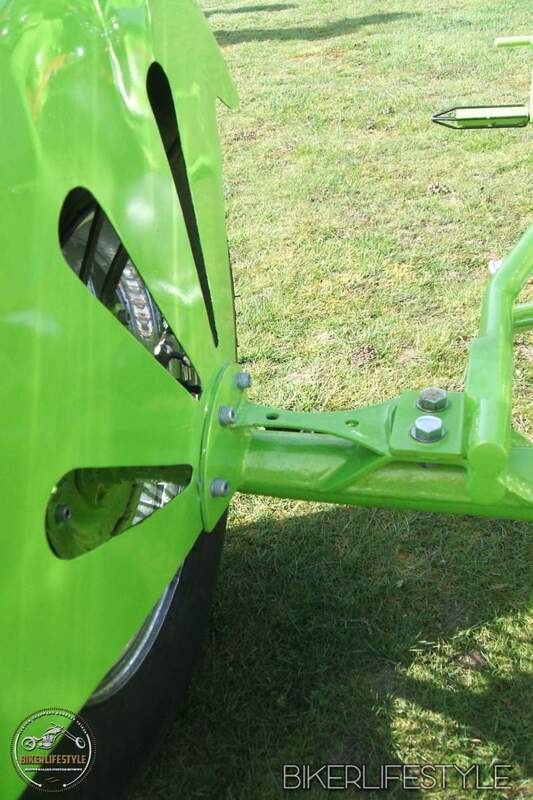 All 3 brakes are linked to a single foot pedal. 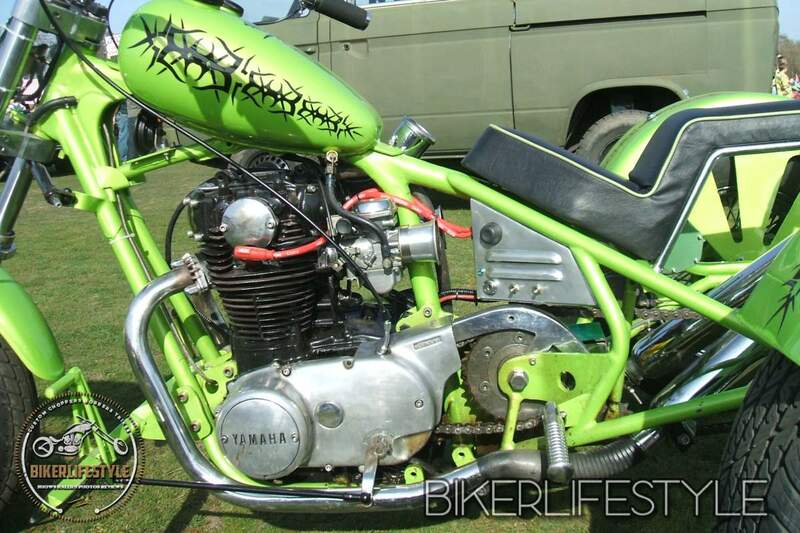 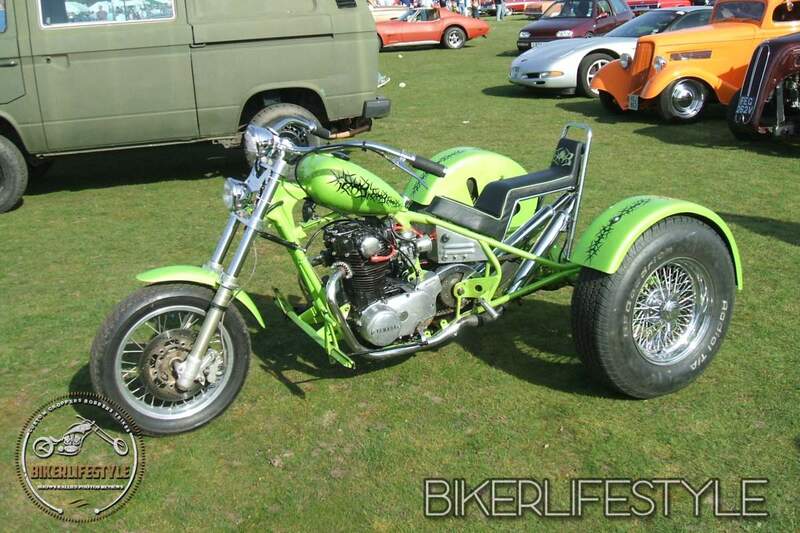 A Halco Tuning 1100cc big bore conversion is planned for later in the year. 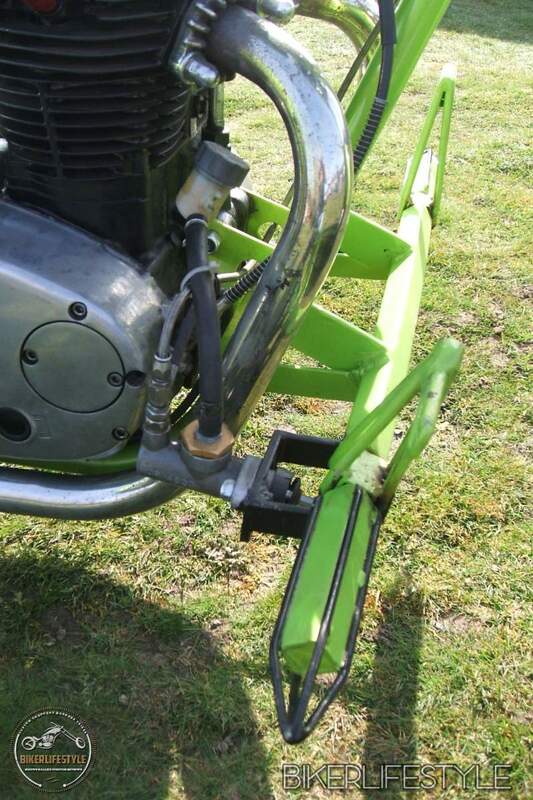 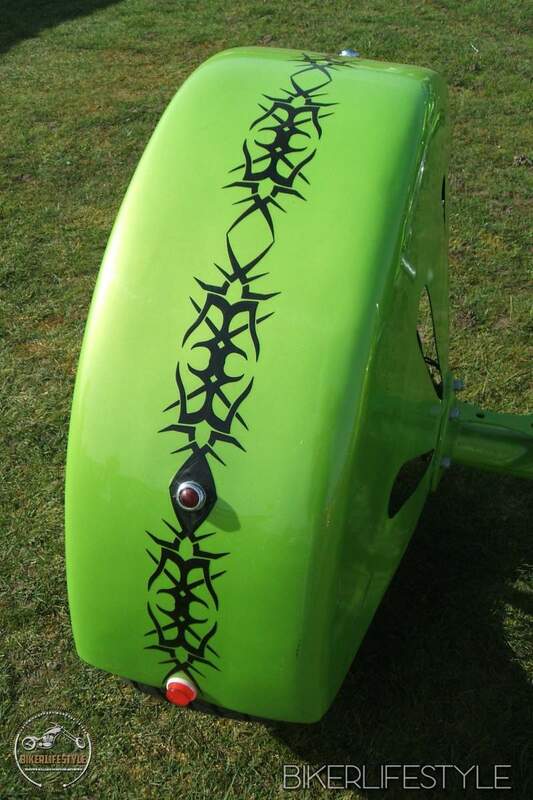 Mick’s added plenty of one-off parts of his own, from the square peg forward controls, to the alloy battery box, to the tidy, enclosed rear guards. 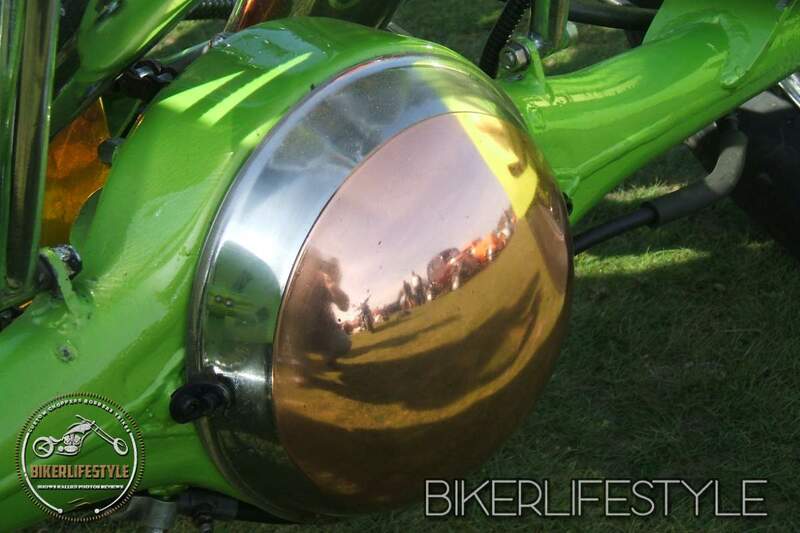 The rear marker lights originally adorned the machinery in a milking parlour while the shiny copper diff cover began life as a wok!